Mark Wayne Nelson details the efforts of one of America’s most underappreciated public servants. In 1934, Franklin D. Roosevelt invited Marriner S. Eccles, a Mormon from Utah, to join his administration. As a Republican businessman, Eccles seemed an unlikely candidate for the role of leading crusader for a fairer and more economically sound distribution of the nation’s wealth. From his first position in the Treasury Department, though, he emerged as the central mover in revolutionizing the mortgage structure of the private home market in the United States. After FDR appointed him to head the Federal Reserve, Eccles drafted legislation that restructured that institution as well. Throughout the remainder of the New Deal, he was the most powerful advocate of what came to be called “Keynesian Policy,” which involved direct federal stimulus of the economy. 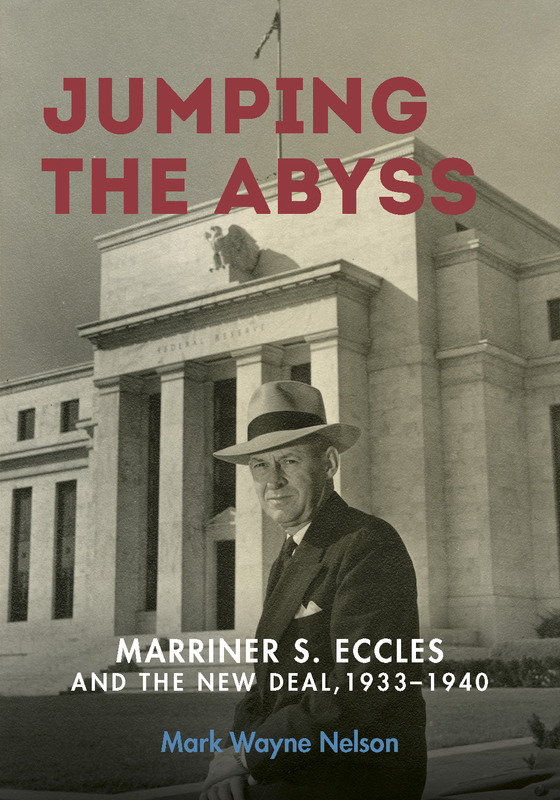 Presenting the first comprehensive and independent analysis of Eccles’s influential career, Jumping the Abyss wrestles with economic issues that remain relevant today. Mark Wayne Nelson has a PhD in history from Claremont Graduate University. His work has been published by the University of California Press, the Los Angeles Times, and the Huffington Post. He currently lives in Greenville, South Carolina, with his wife and son. "Mark Wayne Nelson's Jumping the Abyss is an extremely important addition to our understanding of the New Deal era. The amount of cutting-edge research Nelson undertook is deeply impressive. And he writes with verve and insight. Highly recommended!"